Associate Professor Chamindie Punyadeera is an entrepreneur with a track record in innovation, industry engagement, intellectual property generation, and business development. She is a globally acknowledged pioneer in salivary diagnostics. She obtained her Ph.D. in Clinical Chemistry from the University of Witwatersrand, South Africa, prior to undertaking postdoctoral training with Professor Ton de Goeij, at the University of Masstricht, The Netherlands. 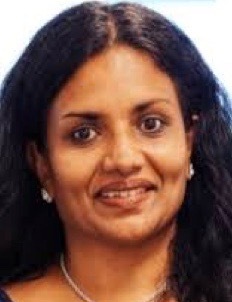 She subsequently joined Royal Philips Electronics, Eindhoven, The Netherlands, as a Senior Scientist/Project Leader. Currently she heads the Saliva Translational Research (STaR) laboratory at the Queensland University of Technology, Australia. Her team focuses on developing novel diagnostic and prognostic biomarkers for cardiovascular diseases, head and neck cancers and linking oral health to systemic diseases. She has collaborative projects with Johnson & Johnson, MDx-health, Mawi-DNA Technologies and Oasis Diagnostics, is a consultant to Oasis Diagnostics® and FLUIDS iQ™. She has 13 PCT patents and over 60 refereed publications, including 4 invited book chapters, and serves on the Editorial Board of the Journal of Oral Oncology and the Associate Editor to the Journal of Dento Medical Science.